Hold on to your kilts and prepare the porridge, it’s time to ‘Defend the Highlands’! 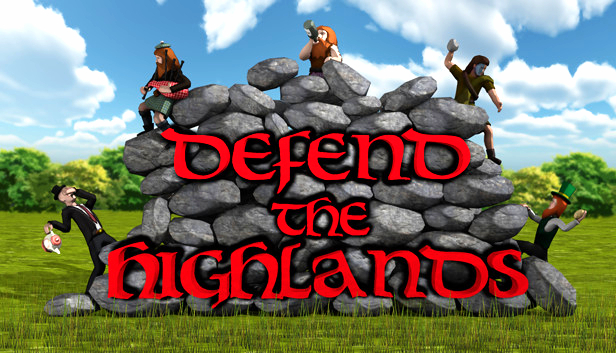 ‘Defend the Highlands’ combines the genres of Tower Defence, Real Time Strategy and Scotland. Build defences, recruit from the best highland clans, manage their porridge stockpile and fight off the invading English. If Mel Gibson had used these tactics in Braveheart, the history of Scotland would have been VERY different! Led by the short, hairy and nationalistic pub owner Alfredo, the Scots must make use of traditional Scottish weaponry, such as golf clubs and haggis catapults to defend Scotland and to take the fight to the Sassenach enemy. Recruit Scotsmen to your cause by playing bagpipes – but be sure to keep your bagpipe players defended! Command powerful hero characters – from the humble pub owner Alfredo, to the great William Wallace himself. 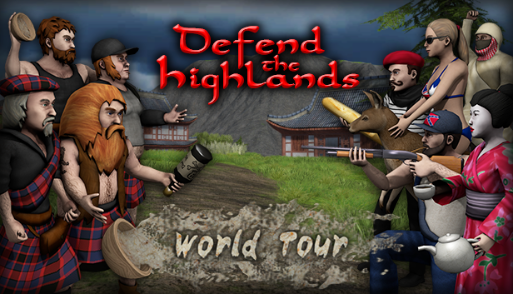 Defend the Highlands World Tour – Out Today! Defend the Highlands Leaves Early Access Today!